Flow control supplier Rotork Africa has aligned two of its leading valve and damper products to maximise cost savings for maintenance applications. The Rotork Skilmatic electric valve actuator, made specifically for the mining and petrochemicals industries, has been integrated with the Rotork Pakscan process control system to monitor actuators’ performance during use. The Skilmatic and Pakscan have been in operation for more than 20 years and are constantly being upgraded through Rotork’s research and development drives, and have now been combined to offer reliability in terms of its valves in the mining and, specifi- cally, the slurry application sector. The Skilmatic range of actuators offers an electric failsafe for quarter-turn and linear valves and dampers. The actuators are also offered with a range of operating speeds, electrostatic discharge inputs, partial stroke testing, and communication capabilities. Data from the valve’s operation is optimised for diagnostics and preventative maintenance. Analysis using proprietary software delivers a detailed window into the process, allowing for preventive maintenance to be accurately planned in advance and helping to eliminate unscheduled interruptions. 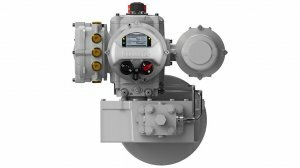 Intelligent actuators can allow for overcautious regular maintenance to be replaced with a precisely timed schedule that provides maintenance only when necessary. In addition to optimising process efficiency, other management benefits include fewer spare parts being stocked and reduced administration. “Adequate flow control contributes to a mine’s functionality, safety and efficiency. This is where valves, actuators and associated equipment are instrumental,” emphasises Rotork in-house sales and business development manager Reshmita Singh. The Pakscan monitoring system is completely wireless and data is stored in a long-term datalogger module, which can be accessed when the actuator is maintained. Secured within the enclosure, the mechani- cal drive train, solid-state torque sensing and electronic controls of the Skilmatic actuator contribute to the intelligent actuator’s ability to deliver a long working life, with less maintenance required. Further, two-way, non-intrusive wireless communication between the actuator and control centre enables the user to manage flow-control assets with security and efficiency, facilitating long-term, low-cost ownership. Pakscan can control up to 240 actuators and other field devices using secure field communications. Improving the ability to capture the information received by the Pakscan will enable the client to collect and assess the critical areas of the plant’s operation, and gauge the health of the process adequately. While the Skilmatic works best when installed directly with the Rotork Pakscan, it can also be used in conjunction with other systems, such as foundation fieldbus, modbus, profibus and devicenet. In terms of functional areas, torque sensors with an integrated amplifier accurately measure the motor thrust being applied to the actuator centre column gearing. Unlike mechanical alternatives, this system is unaffected by mechanical wear and, therefore, maintains absolute accuracy and repeatability throughout the life of the actuator. The Skilmatic and Pakscan have been designed to withstand the harsh conditions of the mining slurry application. The combination of the Skilmatic and Pakscan have been successfully supplied to various mines in and around South Africa.